Sibling rivalry? Serious A6 shoppers should test-drive Audi’s smaller, less expensive A4 to see if the interior space and performance meet their needs. The cars are close in styling, performance, and comfort—maybe too close. The Audi A6 still has elegance and agility in its corner, though 0-60 mph times and rear-seat room continue to lag the competition. 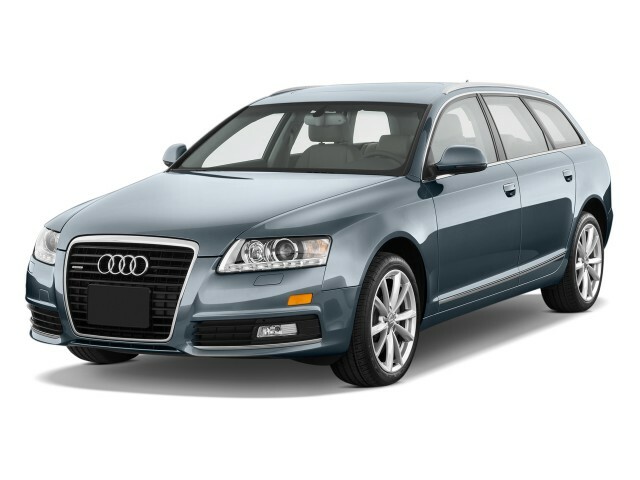 The 2010 Audi A6 shows how brutal competition can be in the luxury-sedan world. In its twilight years, the A6 finds itself competing against brand-new sedans from BMW, Mercedes, and Infiniti, each with invigorating new styling and major dynamic improvements. It’s still attractive, and attractively priced, but the Audi A6 is less spacious and less distinctive than these newbies. 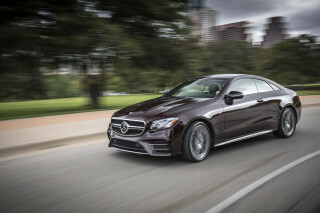 Priced from about $42,000 for the A6 sedan to well over $77,000 for the S6, the Audi A6 meets its match in sedans like the latest Infiniti M37 and M56, the Mercedes-Benz E-Class, and the BMW 5-Series and 5-Series GT. As a four-door sedan or five-door Avant wagon, the Audi A6 still has a svelte shape with relatively little fuss—from the side and rear, that is. At the nose, the A6 sports Audi’s latest grille theme, a gaping maw that’s easily the car’s biggest styling misstep. It’s a major distraction from the otherwise clean lines of both body styles. We think the Avant wagon’s easily the most handsome family vehicle you can find in showrooms today; the sleek wagon back flows like few others we’ve seen. Inside, the A6 mixes up the old Audi recipe of plain shapes, simple controls, and lots of wood. There’s more going on here, and there’s less wood trim than there used to be, but the A6’s interior still is a functional and cleanly designed place to work. The performance S6 edition carries on the sedan’s classic roofline arc and “tornado” line that trails along the lower sills, but it sits lower and has side skirts and air dams that amp up the graceful shape. The S6 also adds shiny carbon-fiber trim to the cabin, and it’s not as rich-looking as you might hope—but as with the A6, the S6’s cabin is flawlessly assembled. Last year Audi split the difference between its V-6 and V-8 engines with a new supercharged V-6 powerplant—and now, there’s almost no reason to choose the other engines, since the 300-hp “super” six has the performance of the V-8 and nearly the economy of the less-powerful six. The base engine’s a smooth but unremarkable 3.2-liter V-6 with 265 horsepower, coupled to a continuously variable transmission (CVT) with seven pre-programmed “gears” to give it a more conventional shift feel. Audi promises a 0-60 mph time of 6.9 seconds and fuel economy of 18/28 mpg. The 3.0T gets the new supercharged V-6 and quattro all-wheel drive tuned for rear power bias of 40:60; it’s teamed to a responsive six-speed automatic available with paddle shifters. This is the only powertrain offered on the Avant wagon; in both body styles, it’s rated at 18/26 mpg, with a 0-60 mph time of about 6 seconds. 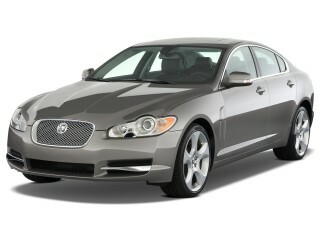 The 350-hp, 4.2-liter V-8 also sports the six-speed automatic with paddle controls and all-wheel drive. Audi rates its 0-60 mph times at 5.8 seconds, and fuel economy at 16/23 mpg. With any of the engines, the A6 lineup has a distinctly light touch to its controls, and it steers as deftly as the new Mercedes-Benz E-Class and better than the electric-steering BMW 5-Series lineup. It’s responsive from its wheel to its brake pedal and feels lighter on its feet than most cars in this class. A Sport package adds 18-inch all-season or 19-inch performance treads and paddles for the automatic shifter to V-6 cars, but its settings give the A6 a harsher ride. The supercharged V-6 A6 is competitive, even with the $77,000 Audi S6. That supersedan spits out 435 horsepower from a 5.2-liter V-10 derived from Lamborghini’s engines, and it channels the high-revving engine’s power through a six-speed automatic transmission and quattro all-wheel drive. A "sport" driving mode holds gears at redline, so you savor the throaty, muffled roar of the V-10—but you’ll extract a 0-60 time of only about 5.1 seconds, less than a second faster than the 3.0T. The EPA rates the S6 at 14/19 mpg. The dollar-to-speed equation may not make sense, but the S6’s steering is perfectly weighted and responsive, the brakes powerful and sure, the ride motions beautifully damped as the big tires grip, the suspension takes a set, and your thumbs call up exactly the right gear to power through each corner, whether slow, fast, or ruggedly rough. Interior space is a mixed bag for the 2010 A6 lineup. The sedans don’t have much more space than the lesser A4 Audi wagon and sedan; they’re less roomy by a wide margin than the Infiniti M, the latest BMW 5-Series, and the Mercedes-Benz E-Class. The A6’s front seats are supportive enough, but rather flat and firm compared to the grippy seats in the sporty S6. Rear-seat riders won’t have as much room in the A6 or S6 as they will in the class leaders, and the rear bench is sculpted for two butts; hump riders won’t get far in comfort. 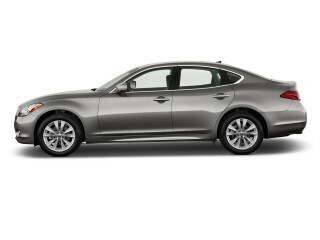 Trunk space in sedans is ample, though, at 15.9 cubic feet, and the rear seats fold down for better storage space. The A6 Avant wagon can transport 20 cubic feet of cargo with the seats in place and 58.6 cubic feet with the rear seats folded. A power-operated tailgate is standard on wagons, along with roof rails. Safety ratings have changed in the A6 lineup since it was revamped for the 2009 model year. Formerly a Top Safety Pick as rated by the IIHS (Insurance Institute for Highway Safety), the 2010 A6 still scores “good” ratings for front and side impact safety. The organization has changed its ratings system to account for roof-crush safety and hasn’t tested the A6 against the new standards. NHTSA (National Highway Traffic Safety Administration) has not tested the latest A6 lineup. Dual front, side, and curtain airbags are standard, along with anti-lock brakes, traction and stability control, active headrests, and tire-pressure monitors. A blind-spot alert system is optional, along with active cruise control, a lane-departure warning system, parking sensors, and a rearview camera. Visibility is mostly good. Standard equipment includes leather upholstery; power front seats; a multifunction steering wheel; cruise control; power windows, locks, and mirrors; Bluetooth connectivity; an AM/FM/six-CD changer; iPod integration; tilt/telescoping steering; a sunroof; dual-zone automatic climate control; 17-inch wheels; and a trip computer. Supercharged 3.0T wagons add roof rails and a power tailgate. The V-8 edition gets shift paddles; a power-adjustable steering column; keyless entry and push-button start; Bose audio; and a navigation system. 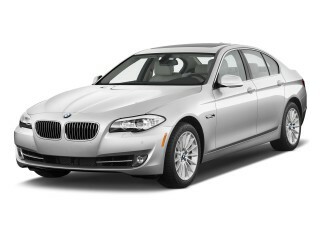 The S6 adds sport seats, new instruments, a new sport steering wheel, and heated rear seats. Some of the features found in the Audi A6 will frustrate casual drivers and technophobes—yep, we’re looking at you, Multi-Media Interface (MMI). It’s easier to use than systems like BMW’s iDrive and has beautiful 3D mapping and iPod integration, but MMI looks and feels outdated compared to touch-driven systems from Jaguar and, especially, Ford, with its new MyFord and MyLincoln touchscreen systems, which adopt Apple’s finger-swipe gestures. The 2010 Audi A6 and S6 share styling themes that are aging well, both inside and out. The 2010 Audi A6 shows how brutal competition can be in the luxury-sedan world. In its twilight years, the A6 finds itself competing against brand-new sedans from BMW, Mercedes, and Infiniti, each with invigorating new styling and major dynamic improvements. As a four-door sedan or five-door Avant wagon, the Audi A6 still has a svelte shape with relatively little fuss-from the side and rear, that is. At the nose, the A6 sports Audi's latest grille theme, a gaping maw that's the car's biggest styling misstep by far. It's a major distraction from the otherwise clean lines of both body styles. We think the Avant wagon's easily the most handsome family vehicle you can find in showrooms today; the sleek wagon back flows like few others we've seen. Inside, the A6 mixes up the old Audi recipe of plain shapes, simple controls, and lots of wood. There's more going on here, and there's less wood trim than there used to be, but the A6's interior still is a functional and cleanly designed place to work. The performance S6 edition carries on the sedan's classic roofline arc and "tornado" line that trails along the lower sills, but it sits lower and has side skirts and air dams that amp up the graceful shape. The S6 adds shiny carbon-fiber trim to the cabin, and it's not as rich-looking as you might hope-but as with the A6, the S6's cabin is flawlessly assembled. Edmunds: wagon "is easily one of the best-looking around"
Autoblog: "the wagon has better proportions than the sedan"
Car and Driver: "attractive interior and exterior"
Cars.com: interior "finishes feel consistently high-rent"
Edmunds: "one of the finest cabins in its class"
Kelley Blue Book: "leather surfaces are inviting"
Consumer Reports: "interior is well-finished and filled with nice details"
The 2010 Audi A6 and S6 handle deftly; the supercharged V-6 is the performance bargain, nearly as fast as the S6. The base engine's a smooth but unremarkable 3.2-liter V-6 with 265 horsepower, coupled to a continuously variable transmission (CVT) with seven pre-programmed "gears" to give it a more conventional shift feel. Audi promises a 0-60 mph time of 6.9 seconds and fuel economy of 18/28 mpg. The 3.0T gets the new supercharged V-6 and quattro all-wheel drive tuned for rear power bias of 40:60; it's teamed to a responsive six-speed automatic available with paddle shifters. This is the only powertrain offered on the Avant wagon; in both body styles, it's rated at 18/26 mpg, with a 0-60 mph time of about 6 seconds. 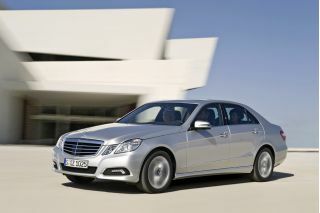 The 350-hp, 4.2-liter V-8 also sports the six-speed automatic with paddle controls and all-wheel drive. Audi rates its 0-60 mph times at 5.8 seconds, and fuel economy at 16/23 mpg. With any of the engines, the A6 lineup has a distinctly light touch to its controls, and it steers as deftly as the new Mercedes-Benz E-Class and better than the electric-steering BMW 5-Series lineup. It's responsive from its wheel to its brake pedal and feels lighter on its feet than most cars in this class. 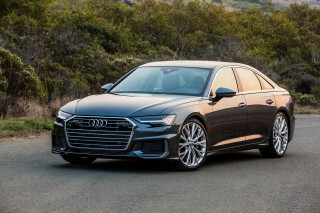 A Sport package adds 18-inch all-season or 19-inch performance treads and paddles for the automatic shifter to V-6 cars, but its settings give the A6 a harsher ride. The supercharged V-6 A6 is competitive, even with the $77,000 Audi S6. That supersedan spits out 435 horsepower from a 5.2-liter V-10 derived from Lamborghini's engines, and it channels the high-revving engine's power through a six-speed automatic transmission and quattro all-wheel drive. A "sport" driving mode holds gears at redline, so you savor the throaty, muffled roar of the V-10-but you'll only extract a 0-60 time of about 5.1 seconds, less than a second faster than the 3.0T. The EPA rates the S6 at 14/19 mpg. The dollar-to-speed equation may not make sense, but the S6's steering is perfectly weighted and responsive, the brakes powerful and sure, the ride motions beautifully damped as the big tires grip, the suspension takes a set, and your thumbs call up exactly the right gear to power through each corner, whether slow, fast, or ruggedly rough. 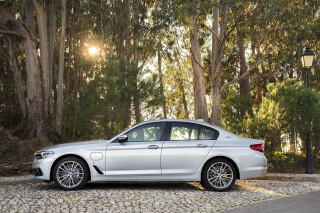 Kelley Blue Book: "Acceleration is quite satisfying with the V6 and the automatic transmission responds effectively"
Edmunds: "the 3.0T went from zero to 60 mph in 5.8 seconds...just as quick as the last V10-powered S6 we tested"
Cars.com: "I question why anyone would buy the less fuel-efficient A6 4.2"
Cars.com: "Purists will bemoan the lack of a true manual transmission" Autoblog: "a more balanced feel"
Cars.com: "The wheel turns with a light touch"
Kelley Blue Book: "ride can get bouncy"
Edmunds: "We'd give the 19-inch-wheel version a pass"
Cars.com: "strong but touchy braking"
The 2010 Audi A6 sedan doesn't lavish rear-seat space on passengers like the Avant wagon does on its cargo. The A6's front seats are supportive enough, but rather flat and firm compared to the grippy seats in the sporty S6. Rear-seat riders won't have as much room in the A6 or S6 as they will in the class leaders, and the rear bench is sculpted for two butts; hump riders won't ride long in comfort. Trunk space in sedans is ample at 15.9 cubic feet, and the rear seats fold down for better storage space. The A6 Avant wagon can transport 20 cubic feet of cargo with the seats in place and 58.6 cubic feet with the rear seats folded. A power-operated tailgate is standard on wagons, along with roof rails. Consumer Reports: seats are "excellent"
Cars.com: front seats "lack the space to spread out"
ConsumerGuide: "vast legroom with ample headroom"
Cars.com: "rear bench sits too low to the ground"
Autoblog: rear seats "are contoured to maximize the comfort of two passengers"
Kelley Blue Book: "the center passenger must suffer the indignity of a stiff perch and a high floor hump"
Cars.com: "The trunk is Audi's biggest asset"
Autoblog: Avant wagon has a "cavernous rear compartment"
Edmunds: Avant wagon has "34 cubic feet behind its rear seats and 59 cubes with them folded"
Edmunds: "meticulous fit and finish"
ConsumerGuide: "cabin is impressively free of wind noise, even at high speed"
Consumer Reports: "reliability has been above average of late"
With excellent IIHS crash-test ratings and plentiful safety features, the 2010 Audi A6 and S6 provide good security for drivers. Safety ratings have changed in the A6 lineup since it was revamped for the 2009 model year. Formerly a Top Safety Pick as rated by the IIHS (Insurance Institute for Highway Safety), the 2010 A6 still scores "good" ratings for front and side impact safety. The organization has changed its ratings system to account for roof-crush safety, but hasn't tested the A6 against the new standards. NHTSA (National Highway Traffic Safety Administration) has not tested the latest A6 lineup. Dual front, side, and curtain airbags are standard, along with anti-lock brakes, traction and stability control, active headrests, and tire-pressure monitors. A blind-spot alert system is optional, along with active cruise control, a lane-departure warning system, parking sensors, and a rearview camera. Visibility is mostly good. Cars.com: A6 has "a first-aid kit"
Edmunds: "rear-seat side airbags are optional"
The 2010 Audi A6 lineup hardly misses a beat in the features band-though we wish the fabulous Bang & Olufsen audio system were available, and that MMI could read minds. Standard equipment on the 2010 Audi A6 includes leather upholstery; power front seats; a multifunction steering wheel; cruise control; power windows, locks, and mirrors; Bluetooth connectivity; an AM/FM/six-CD changer; iPod integration; tilt/telescoping steering; a sunroof; dual-zone automatic climate control; 17-inch wheels; and a trip computer. 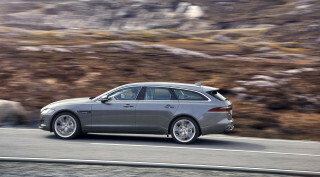 Supercharged 3.0T wagons add roof rails and a power tailgate. The V-8 edition gets shift paddles; a power-adjustable steering column; keyless entry and push-button start; Bose audio; and a navigation system. The S6 adds sport seats; new instruments; and a new sport steering wheel, along with heated rear seats. Some of the features found in the Audi A6 will frustrate casual drivers and technophobes-yep, we're looking at you, Multi-Media Interface (MMI). It's easier to use than systems like BMW's iDrive and has beautiful 3D mapping and iPod integration, but MMI looks and feels outdated compared to the touch-driven systems from Jaguar and, especially, Ford, with its new MyFord and MyLincoln touchscreen systems, which adopt Apple's finger-swipe gestures. Kelley Blue Book: "high-tech interior may be a bit overwhelming"
Cars.com: Optional on some A6s, "competitors include the keyless feature standard"
Edmunds: MMI "has better-sorted menus, crisper graphics and a joystick-like control"
Autoblog: "MMI is still heads-and-shoulders better than most incarnations of BMW's iDrive, but it still has some annoying quirks"
Cars.com: "The standard stereo...cranks out adequate quality"
Got my A6 about 2 years ago with 70K, and I put 3K on it, so far so good. Very good handling even on snow or heavy rain. Reliable.